A complete guide to tracking down the locations of each blueprint that you can collect in Dishonored 2. 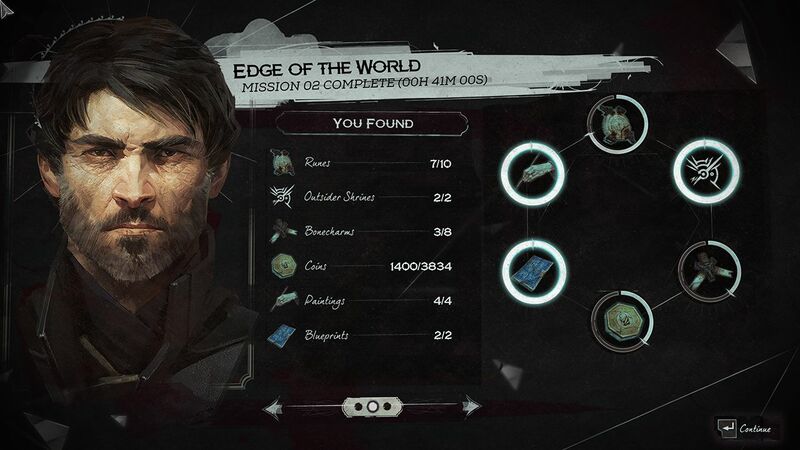 Below you will find a video walkthrough for tracking down each of the mission specific blueprint locations that you can discover during the Edge of the World mission in Dishonored 2. Upgrade: Incendiary Bolt - Enables Black Market shops to sell bolts that immolate enemies. Upgrade: Hardened Bolt - Bolt that inflicts greater damage. Upgrade: Instant Sleep Dart - Puts and enemy to asleep instantly. Upgrade: Stinging Bolt - Enables Black Market shops to sell bolts that sting and cause enemies to flee. Upgrade: Howling Bolt - Enables Black Market shops to sell bolts that stun and blind enemies for a time. Upgrade: Magnetized Bullet - A magnetized bullet that briefly disrupts Clockwork Soldiers. Upgrade: Chain Lightning - Enemies near the primary target are also electrified. Upgrade: Armored Bullet - Ricochets off hard surfaces, including enemy armor. Upgrade: Ancient Howl Bolt - Blinds enemies. Causes witches to flee. Upgrade: Deep Howl Bolt - Blinds enemies. Causes wolfhounds to flee. Upgrade: Impact Grenades - Impact grenades explode on contact with living targets. Upgrade: Coffin Nails - Fires bolts at a high rate. Semi-automatic firing. Upgrade: The Dealer - Aim-lock up to 3 targets at once, firing a single, splintered bolt. Only works with regular crossbow bolts. * The prices noted may vary based on whether you have already completed the side-mission for the Black Market vendor. Upgrade: Double Release - Each Springrazor works twice. Upgrade: Sticky Grenade - Enables Black Market shops to sell grenades that anchor to targets. Upgrade: The Determined Traveler - When using the spyglass, the pistol has perfect aim, even when you chain shots. Reduced area of effect spread damage range. Upgrade: The Crimson Painter - Improved area of effect spread damage range. 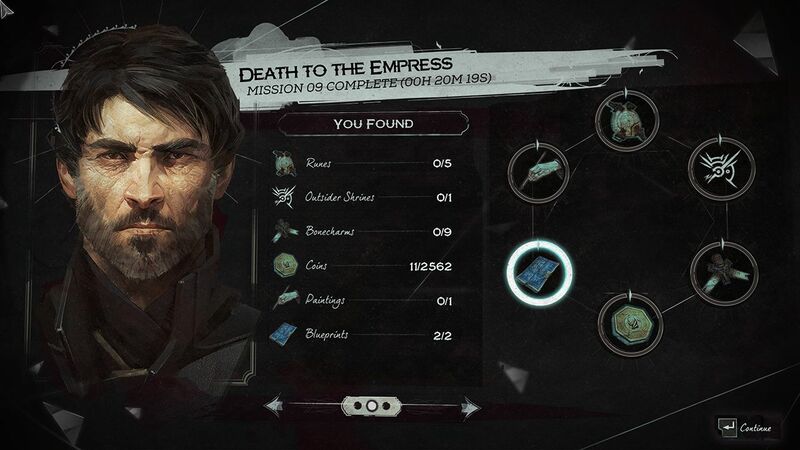 All bullets fragment. Reduced effective range. Improved damage. Upgrade: Explosive Bullet - Enables Black Market shops to sell bullets that explode on contact. Upgrade: Silent Running - Make less noise when running. Upgrade: Monkey Wrench - Deal sword damage against Clockwork Soldiers. Upgrade: Occult Kiss - Deal more sword damage against magic-using enemies. Upgrade: Collector's Carapace - Reduces damage taken. Upgrade: Moth Dust Wrappings - You are less visible in well-lit areas. Upgrade: The Expansive Lady - Grenade blast radius is expanded. Upgrade: Discreet Inquiry - Grenade noise is reduced.